Kolkata: Hanuman Jayanti was celebrated across West Bengal today amid tight security. The ruling Trinamool Congress (TMC) took out colourful processions and organised Hanuman puja in various parts of the state. Senior party leaders and ministers were seen taking part in the celebrations. The BJP and the Vishwa Hindu Parishad (VHP) kept their celebrations a low-key affair with small-scale programmes at temples and mutts. The BJP-VHP had decided to keep the Hanuman Jayanti celebrations low profile in view of widespread violence in various parts of the state over Ram Navami celebrations earlier this week. State VHP president Sachindranath Singha had yesterday said major Hanuman Jayanti rallies might lead to more problems in the state. "Only last week, we had huge Ram Navami celebrations, which at some places also led to violence. 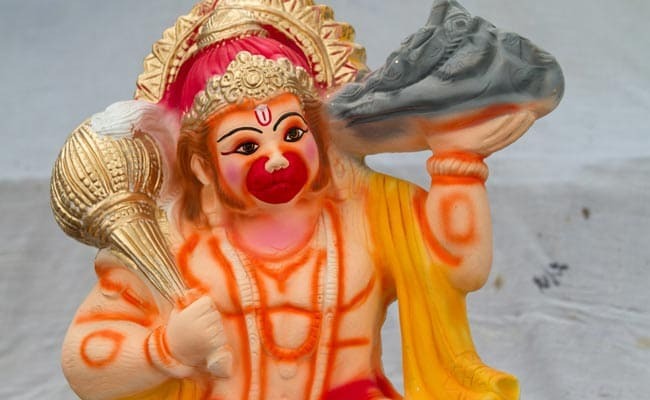 Now, taking out rallies on Hanuman Jayanti will send a wrong message," he had said. The police have put in place elaborate arrangements across the state to avoid any untoward incident during the Hanuman Jayanti celebrations. "We will keep a tab on any suspicious movement. No one will be allowed to take out armed rallies," a senior police officer said.